Want to look fashionable at the beach? SeaCasas carries unique beach bags, select hats, clutches and totes. We have custom greeting cards with art and beautiful poetry. 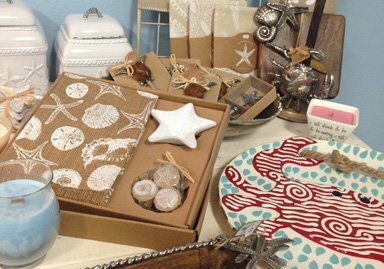 And if you are looking for sea-themed handmade boxes and mirrors or wood-carved items – you've got to see our special treasures.